Svandís Svavarsdóttir, Minister of Environment, recently declined land-use plans made by the parishes of Flóahreppur and Skeiða- and Gnúpverjahreppur at the request of Landsvirkjun (National Energy Company), which had also paid for the preperations to the changes in the plans. The minister declined the land-use plans on the grounds that according to Icelandic law, such plan changes are to be paid for by the communities themselves, and any third-party involvement in the costs is illegal. Of course the governmental opposition parties and their usual gang of industrial lobbyists are furious over the ruling, and critisice it heavily, displaying reactions the environmental minister described as being similar to allergic reactions. Amongst other things they accuse her of hindering those who are trying to build up work in the energy and industry sectors and blocking the creation of new jobs in a country they claim is ravaged by unemployment (approximately 8,6% at last count). The ruling as such is according to national law, but the critic against it in mainstream medias has mostly revolved around the fact that third-party involvement in land-use planning is a “grown custom” in Iceland, and therefore the minister is supposedly in breach of the rule of equality the authorities are sworn to. This could well be true, but shouldn’t the focus rather be on the fact that bribery and bullying your will through with money is, according to the opposition, a “grown custom” in the country. Didn’t people demand that a new government should abolish corruption in all layers of the community. It’s absurd to see this kind of backlash when someone tries taking corruption by the horns in light of the events after the crash of the national economy. If this ruling isn’t followed through that just goes to show that rich companies and individuals can still bribe and bully their way to permissions to plunder and ruin the pristine wilderness of the island for a few more dimes in their own pockets. 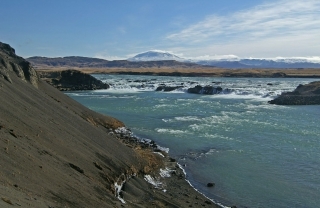 Landsvirkjun started designing the lower Þjórsá River dams eleven years ago, and six years ago the project got approved by the Planning Institute and the minister of environment at the time. The company has spent 3,7 billion ISKR on the planning process as of yet and is in discussions with foreign companies about eventual usages of the energy from the dams. Hörður Arnarson, the new president of Landsvirkjun after Friðrik Sophuson’s retirement from the company, claims the ruling of the minister will delay their negotiations with foreign investors because of the uncertanity that the ruling causes the project, but he sounds quite positive that it will not stop the project from going through. With so much money already being pumped into it, there’s not much hope for Landsvirkjun to back down from it without getting their investment back, which will mean the total destruction of Þjórsárver. 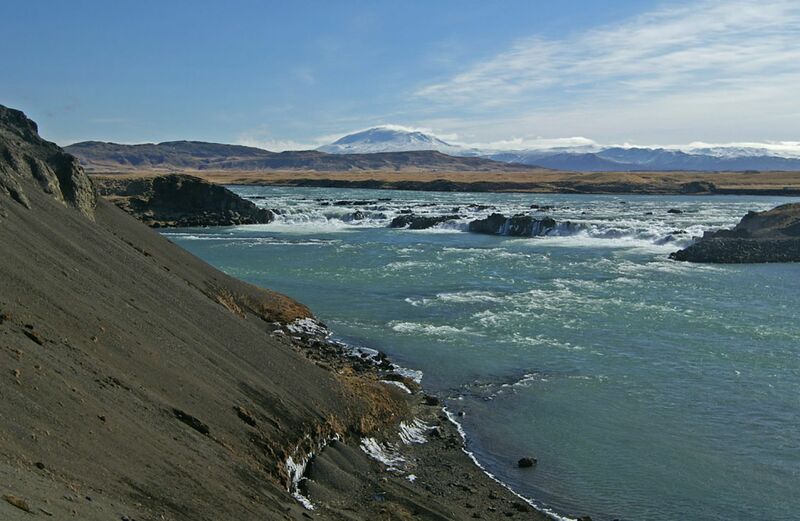 One of the companies relying on the energy from lower Þjórsá River is Rio Tinto Alcan, but they want to enlarge their smelter in Straumsvík and increase capacity, demandin over 1000Gwh pr. year on top of the almost 3.000Gwh they’re currently buying.